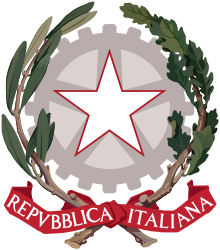 Italy, officially the Italian Republic, is a unitary parliamentary republic in the southern European Union. To the north, Italy borders France, Switzerland, Austria, and Slovenia, and is roughly delimited by the Alpine watershed, enclosing the Po Valley and the Venetian Plain. To the south, it consists of the entirety of the Italian Peninsula and the two Mediterranean islands of Sicily and Sardinia, in addition to many smaller islands. Italy covers an area of 301,338 km2 (116,347 sq mi) and has a largely mediterranean climate; due to its shape, it is often referred to in Italy as lo Stivale (the Boot). With 61 million inhabitants, it is the 6th most populous country in Europe. 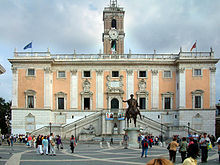 Italy is a very highly developed country and has the third largest economy in the Eurozone and the eighth-largest in the world. Joseph Addison, A Letter from Italy. Italians said: 'You're Greater than the Cassius of old'. But the USA is my country still. Muhammad Ali, poem written after winning the gold medal in the 1960 Olympic Summer Games in Rome, Italy, p. 35. Augustus , Res Gestae Divi Augusti, XXV, lines 3-4. "Open my heart and you will see Graved inside of it, 'Italy.'" Robert Browning, De Gustibus. ii. Lord Byron, Childe Harold's Pilgrimage (1818), Canto IV, Stanza 57; reported in Hoyt's New Cyclopedia Of Practical Quotations (1922), p. 277. Lord Byron, Childe Harold's Pilgrimage (1818), Canto IV, Stanza 3. Jeremy Clarkson (2005), The World according to Clarkson, p. 259. Vicenzo Filicaja, Italia, English rendering by Lord Byron, Childe Harold, Canto IV, St 42. James William Foley, Graduation Time Expression found in Livy Ab Urbe Bk 21 30. What does one find, but Want and Pride? Bodys uncloathed, and mouths unfilled. They nought approve, nor ought enjoy. He prays from Idleness and fast from Want. John Hervey, 2nd Baron Hervey (1729), quoted in Jeremy Black, The British and the Grand Tour, (1985), p. 174. Italy will take care of itself. Italian proverb; a common expression when Italy was in the process of reunification. Samuel Johnson, Boswell, Life of Johnson. [of the Sicilians] They never want to improve. They think themselves perfect. Their vanity is greater than their misery. Burt Lancaster, The Leopard (1963). Italy is, after France and perhaps in the same degree, the land in which love of country has the deepest roots in the hearts of its inhabitants. The fact is that perhaps nowhere else has nature been so prodigal with its enchantments and seductions. Therefore, although Italy has been, since the fall of the Caesars, the object of European covetousness, the eternal battlefield of powerful neighbors, and the theatre of the fiercest and most prolonged civil wars, her children have always refused to leave her. Save for some commercial colonies hastily thrown upon the shores of Asia by Genoa and Venice, history has not, in fact, recorded in Italy any important outward movement of population. Alfred Legoyt (1861) cited in: Richard N. Juliani (June 2005). Building Little Italy. Penn State Press. pp. 184–. ISBN 978-0-271-02864-4. In Italia, chi si fa valere all'estero non viene considerato. In Italy, those who make a name for themselves in other countries are ignored. Alessandra Martines, as quoted in Alessandra Martines: Parigi premia il mio talento ma l'Italia spesso mi ignora, Corriere della Sera, (8-26-2008). France exists so that you can drive to Italy. ruinous discords, with one lustrous aim. George Meredith, "For the Centenary of Garibaldi", stanza 1, The Times (London, July 1, 1907), p. 9; reprinted in Phyllis B. Bartlett, ed., Poems of George Meredith (1978), p. 790. Napoleon Bonaparte, when in Italy. Tutti no... buona parte sì. Not all but a good part (good part is buona parte, intending Buonaparte). Supposed response by a lady who overheard him. Reported in Samuel Taylor, Biographia Literaria, Satyrane's Letters No 2 (Ed 1870). Also reported as "I Francesci son tutti ladri", "Non tutti ma - buona parte" in Pasquin, when the French were in possession of Rome; see Catherine Taylor's Letters from Italy Vol I P 239 (Ed 1840) Quoted also by Charlotte Eaton, Rome in the Nineteenth Cent Vol II P 120 (Ed 1852). This is Italy, land﻿ sacred to the Gods. Pliny the Elder , Naturalis Historia, Book III, sec. 46. Bertrand Russell, The Autobiography of Bertrand Russell‎ (1967), p. 185. Percy Bysshe Shelley, Julian and Maddalo, lines 55-57. William Shakespeare, Cymbeline (1611), Act iii, Scene 4. Report of fashions in proud Italy, Whose manners still our apish nation Limps after in base imitation. William Shakespeare, Richard II, Act ii, Scene 1. Stendhal, La Chartreuse de Parme (The Charterhouse of Parma) (1839), Chapter 6. Mark Twain, Innocents Abroad. Twain humorously depicts tourists being told that most every monument in Italy was designed or painted by "Michael Angelo", oblivious to the historic significance of Michelangelo. Giuseppe Verdi, reported in Michael Angelo Musmanno, The Story of the Italians in America (1965), p. 255.
snatched from the enemy, in my fleet with me, known by my fame above the ether. Virgil , Aeneid, Book I, lines 378-380. Orson Welles, as the character Harry Lime in the Graham Greene film, The Third Man (1949). L'ltalie est un nom geographique. Klemens Wenzel, Prince von Metternich to Lord Palmerston (1847); reported in his Letter to Count Prokesch-Osten (November 19, 1849), Correspondence of Prokesch II 343; First used by Metternich in his Memorandum to the Great Powers (August 2, 1814).